We are very proud that Chambers has again ranked us as one of the leading Dutch employment law firms. It is the outcome of multiple in-depth interviews of our clients and peers and we thank them for the positive referrals and recommendations. 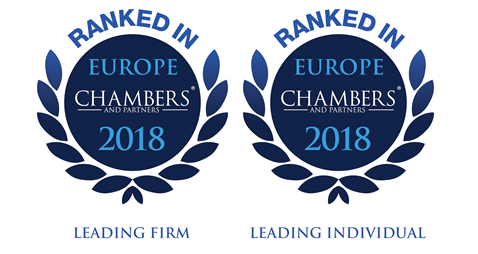 We are proud to switch our 2017 badge for the new “Ranked in Chambers Europe 2018” badge! Contact us online (www.hdkadvocaten.nl) or call us on: +31 20 3331020.